We hope you find exactly the information you are seeking here, but if you have any questions please feel free to call us at 405.230.1310, we will be glad to assist you. OK Cremation and Funeral Home, LLC is a traditional funeral home and is locally owned, with offices and facilities in mid-town Oklahoma City just a few blocks from the State Capitol. We place your needs first, providing you with a professional and dignified service. 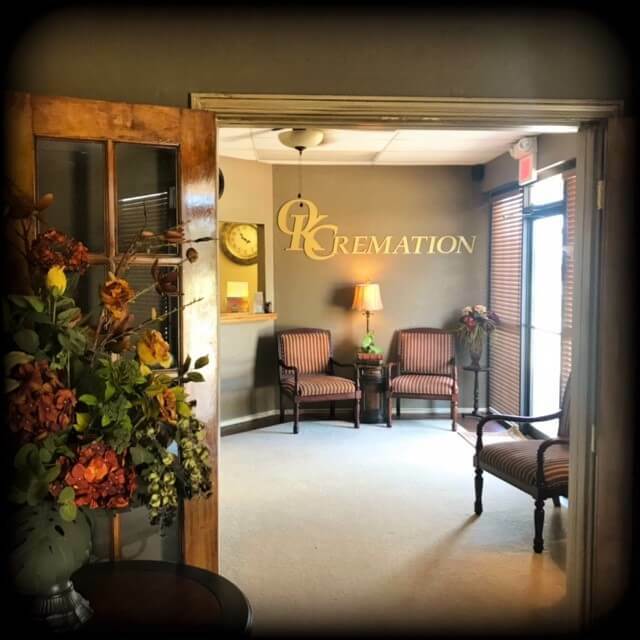 OK Cremation and Funeral Home, LLC was founded in 2003 by Al McAffrey and G. Terry Felts to provide professional and dignified cremation and funeral services at an affordable cost. Brent D. Jones purchased the funeral home from Al McAffrey in November 2014 and became the owner and operator. Brent, a former longtime Seminole County resident and local funeral director, attended Seminole State College and the Dallas Institute of Funeral Service. He has been in funeral service for over 21 years. Brent resides in Shawnee with his wife, Annika, and their two sons, Brandon and Davin. Our goal is to help provide a positive lasting memory with affordable funeral and cremation options.